How May Statins Affect People with Lung Cancer? You may have heard that statin drugs could improve lung cancer survival, assist with treatment, or lower lung cancer risk. A 2019 review of studies to date suggests that statins are associated with a significant improvement in survival with lung cancer, but this benefit can vary depending on when statins are used, as well as the stage of lung cancer. Less is known about the possible role of statins in lung cancer prevention, but may vary depending on the particular drug in this class. The impact of statins on survival also appears to vary depending on the molecular subtype of lung cancer, for example, if the cancer is positive for an EGFR or KRAS mutation. It's also thought that "lipophilic" statins such as Lipitor and Zocor may be more effective (in lung cancer survival) than less lipophilic statins such as Pravachol, Crestor, and Lescol. Scientists are sometimes surprised when a treatment for one condition appears to help for an unrelated condition. Statins drugs may be one of these treatments. These medications, which reduce cholesterol among other functions, are some of the most commonly prescribed drugs worldwide. Researchers have taken further interest in these drugs in recent years after seeing a correlation between the use of these drugs and cancer survival. Statins are a category of medications known as HMG-CoA reductase inhibitors. While the public often views these drugs as "cholesterol lowering drugs" their primary purpose is to lower the risk of heart attacks. In addition to lowering cholesterol, these drugs stabilize plaques in coronary arteries, reduce the size of plaque in coronary arteries, and decrease blood clot formation in the coronary arteries. As such, statins may decrease heart risk even with normal cholesterol. On the other side of the equation, treating elevated cholesterol levels alone - unless it makes a difference in health and survival - is not the goal of statin therapy. How Might Statins Affect Cancer Risk? According to one group of investigators, statins that are more lipophilic (fat-loving) would be most effective. More lipophilic statins include Lipitor (atorvastatin), Zocor (simvastatin), and Mevacor (lovastatin). Less lipophilic (more hydrophilic or "water-loving") statins include Pravachol (pravastatin), Crestor (rosuvastatin), and Lescol (fluvastatin). The 2019 review of studies on statins and lung cancer survival noted earlier found that statin use was associated with a significant improvement in survival with lung cancer. This improvement, however, varies with the time frame during when statins were used as well as the stage of the cancer. People who used statin drugs after their diagnosis of lung cancer and had greater improvement in survival than those who used them prior to their diagnosis (a 32 percent improvement in survival when the drugs were used after diagnosis compared to a 14 percent improvement when they were used prior to diagnosis). Improvement in survival related to statin use was also greater for those with stage 4 disease, than those with earlier stages of lung cancer. A look at earlier studies casts more light on this relationship. In a study of roughly 14,000 people with lung cancer in the U.K between 1998 and 2009, people who had been using statin drugs before their diagnosis had a statistically significant 12 percent reduction in lung cancer-related deaths. For those who used a statin drug after their diagnosis, and lived for at least 6 months, there was a non-statistically significant reduction in lung cancer-specific deaths of 11 percent. For those who had filled their prescriptions at least 12 times (use for a year or more,) there was a statistically significant reduction in lung cancer-specific deaths of 19 percent. This study pertained to people with both non-small cell lung cancer and small cell lung cancer and translates to 3,638 lung cancer patients who had some decrease in lung cancer-specific mortality. If these numbers were to apply to the general population of people with lung cancer, this would not be a small number, since it’s expected that 158.040 people will die from lung cancer in 2015 in the United States alone. As a quick comparison, roughly 3,000 people die in home-related fires in the United States each year. It’s very important to note that this research is early, and we can’t be certain that it is statin drugs themselves causing a reduction in deaths. For example, there could be some other factor (another variable) in people who use statin drugs that instead is linked with improved survival. A review of studies published through April 2015 (41 studies) looking at the effect of statins on overall cancer mortality, seems to support the idea that statins can affect cancer survival. These studies, involving close to one million people altogether, suggest that the use of statins after a diagnosis of cancer is linked with a 19 percent reduction in all-cause mortality and a 23 percent reduction in cancer-specific mortality. The conclusion of researchers looking at these studies is that “statin use both before and after diagnosis is beneficial for overall survival and cancer-specific survival.” It is important to note, however, that just lung cancer lags behind in some of these studies, with more studies having looked at breast cancer, colorectal cancer, and prostate cancer. Not a lot is known about how statins affect individual treatments for cancer, but one small study did find that adding a statin to medications such as Tarceva resulted in a statistically significant improvement in progression-free survival in people with non-small cell lung cancer positive for a KRAS mutation. This article discusses testing for gene mutations in people with lung cancer. Traditionally, people who test positive for a KRAS mutation do not respond as well to medications called epidermal growth factor receptor tyrosine kinase inhibitors (EGFR-TKIs). Medications in this category (targeted therapies) used in lung cancer include Tarceva (erlotinib) and Iressa (gefitinib). In people with stage 3B and stage 4 non-small cell lung cancer positive for a KRAS mutation, the addition of a statin doubled the length of progression-free survival. Earlier studies on human lung cancer cells also found that adding a statin inhibited lung cancer cells. Simplistically, it’s thought that the statin results in a decrease in isoprenoids which have an effect on RAS – consequently it’s apparent effect on lung cancer cells with a KRAS mutation. While a small older study did not find a link between statins and lung cancer prevention, a recent study in Taiwan did show a possible role, at least for women, especially those with other respiratory conditions such as COPD and pulmonary tuberculosis. Researchers compared over 17,000 women without lung cancer with over 17,000 women who were diagnosed with lung cancer between 2005 and 2010. Long-term use of Zocor (simvastatin) was correlated with a 20 percent lower risk of lung cancer compared with women who had not used the medication. Long-term use of Mevacor (lovastatin) was not, however, associated with a lower risk of the disease. 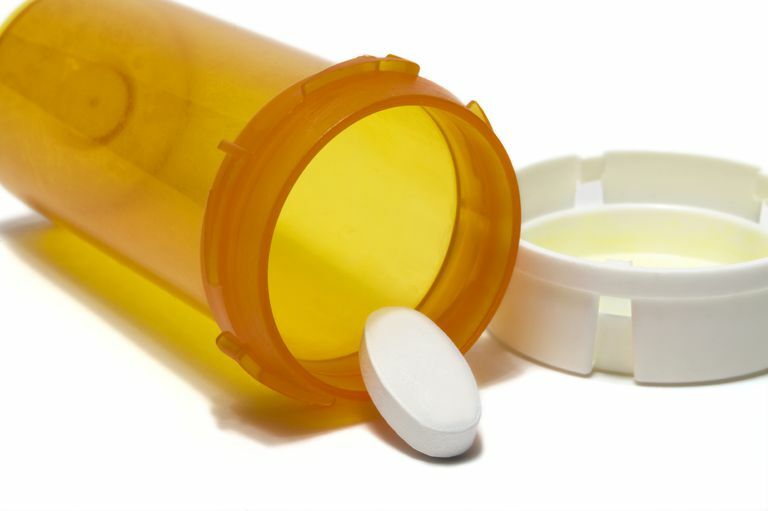 Learn about the recent controversy about the use of statins in women. As noted above, this research is still in its infancy, and recommendations regarding statin use specifically for cancer have not been made. For those who have been using statin medications for elevated cholesterol during lung cancer treatment, these studies may be a source of encouragement. You may also wish to discuss your specific situation including your lipid profile with your oncologist and ask her what she thinks of this information. This information also comes at a time when previous guidelines on cholesterol are being called into question. In December of 2014, a draft document of the Dietary Guidelines Advisory Committee stated that dietary cholesterol is no longer considered a nutrient of concern for overconsumption. This is clearly a topic that will need to be discussed and individualized between you and your oncologist. There are some simple things people can do themselves to improve survival with lung cancer. Check out these 10 things that may improve your survival from lung cancer. Cardwell, C, McMenamin, U., Hughes, C., and L. Murray. Statin Use and Survival from Lung Cancer: A Population-Based Cohort Study. Cancer Epidemiology Biomarkers and Prevention. 2015. 24(5):833-41. Chen, J. et al. Atorvastatin overcomes gefitinib resistance in KRAS mutant human non-small cell lung carcinoma cells. Cell Death & Disease. 2013 Sep 26:4:e814. Cheng, M., Chiu, H., Ho. S., and C. Yang. Statin use and the risk of female lung cancer: a population-based case-control study. Lung Cancer. 2012. 75(3):275-9. Park, I., Kim., J., Jumg, J., and J. Han. Lovastatin overcomes gefitinib resistance in human non-small cell lung cancer cells with K-Ras mutations. Investigational New Drugs. 2010. 28(6):791-9. Yang, T., Lin, W., Lin, C., Sung, F., and C. Kao. Correlation between use of simvastatin and lovastatin and female lung cancer risk: a nationwide case-control study. International Journal of Clinical Practice. 2015. 69(5):571-6. Chen, Y., Li, X., Zhang, R. et al. Effects of Statin Exposure and Lung Cancer Survival: A Systematic Review and Meta-Analysis. Pharmacology Research. 2019 Jan 11. (Epub ahead of print).